Okay, can we just stop and talk about the fact that it’s almost July?? I seriously can’t believe that my baby is almost 6 months old. People aren’t joking when they say that the first year with a baby goes by fast. Wayyy too fast in my opinion. I’m practically choking back the tears just thinking about it. The fact that July is right around the corner also means that it’s time to whip up some Fourth of July recipes. Now I am a Canadian gal, but I’m all for helping my American sisters out! And boy, do I have a treat for you! AND it goes right along with the red blue and white theme! Very patriotic. 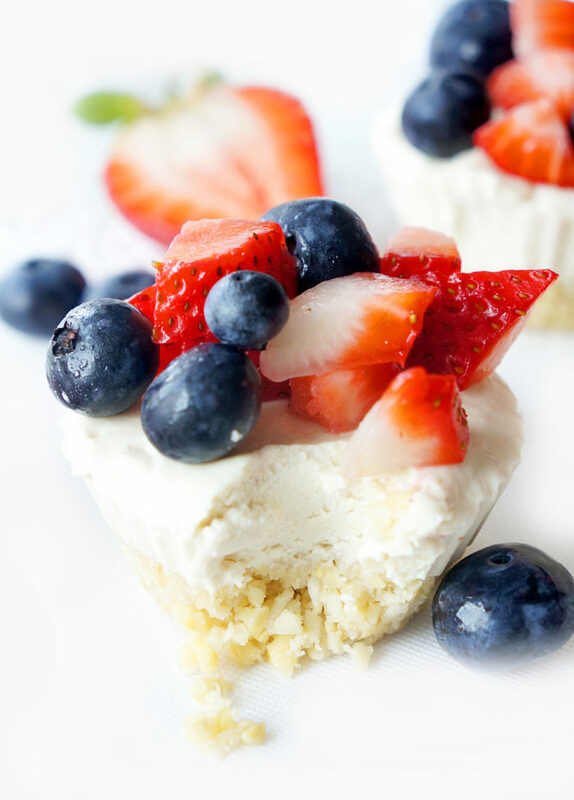 Vegan no-bake lemon berry cheesecake cups. 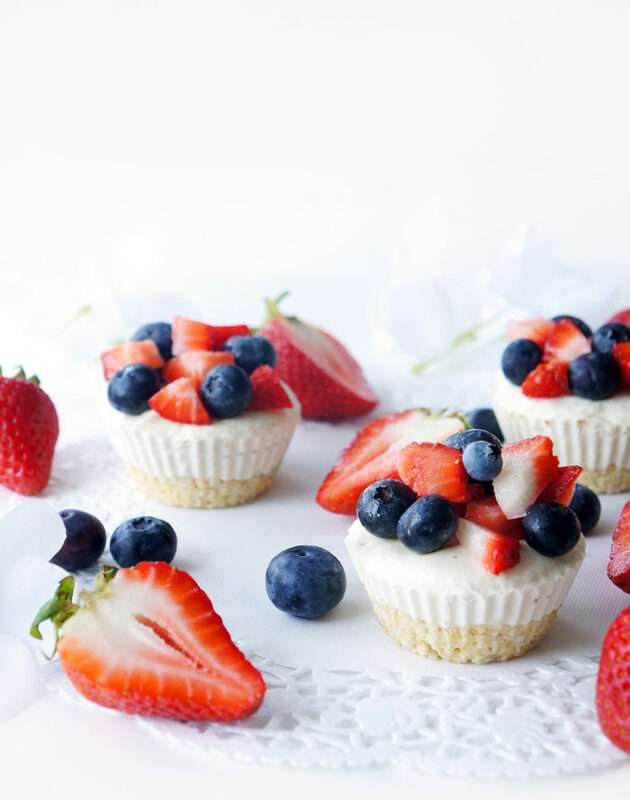 They are no-bake, perfectly portion-controlled little mini cheesecakes filled with a dose of healthy fats, fibre, and vitamin C and only contain four grams of sugar. Totally healthy, but they taste totally indulgent. Let’s start by chatting about the crust. Cashews mixed with a little lemon zest and maple syrup or honey to give the cups a nice zesty layer of crumbliness. It’s this delicious velvety smooth creamy layer of goodness that mimics cheesecake but actually doesn’t contain any dairy at all. 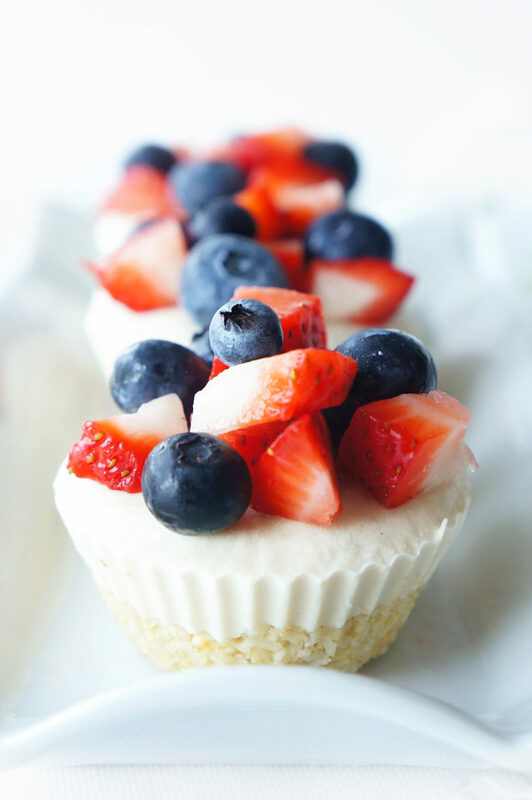 Top it off with some vibrant blueberries and strawberries and you’ve got one gorgeous little “cheesecake” cup. In fact, I actually liked it better than cheesecake! That’s a huge statement for me because I LOVE cheesecake. Soak the cashews for at least 2 hours in hot water to soften them up before blender. This will ensure a smoother “cheesecake” consistency. Use a powerful blender or magic bullet when making the cashew cheesecake mixture. Unfortunately, a food processor doesn’t blend the mixture up fine enough to create that creamy texture, which means you’re left with chunks. I don’t know about you, but I don’t want chunks in my cheesecake unless it’s chunks of chocolate, but if you want that, then you’re better off checking out these no-bake cookie dough cups. Or make both (totally recommend the latter option). You can whip up the mixture for the crust layer in the blender, magic bullet or food processor because in this case, we are going for the chunky factor. We want that crust to stay slightly crumbly so that it doesn’t turn into cashew butter. I love me some cashew butter but once again, it’s not quite the consistency we’re going for. Finally, you can either make these cups in reusable silicone baking cups, which I LOVE, and store in the freezer to firm up. 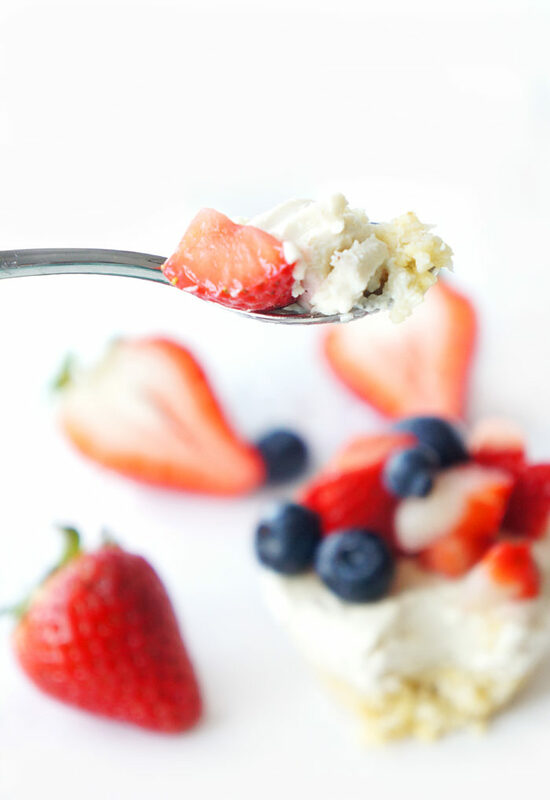 OR as an alternative, you can make the no-bake cheesecakes in mini mason jars or dessert cups. Layer up the crust, “cheesecake” and berries and stick the glasses or jars in the fridge to firm up a bit and then get your spoon ready to dig in! Perfect for feeding a crowd! Personally, I’m a fan of both methods. I tried eating these little morsels when they were fresh out of the freezer and still slightly firm and frozen. I also ate them when they were thawed out and a creamier consistency. Blend ingredients for cheesecake mixture in powerful blender or magic bullet. I found that a food processor didn't grind it fine enough. Line a muffin tin with 12 silicone molds. Evenly distribute the crust mixture among the cups and press down firmly with a small spatula or the back of a spoon until the crust is firmly packed down to the bottom of the cups. Next, evenly distribute the cheesecake mixture on top of the crust layer and smooth it out so that the surface of each cup is flat. 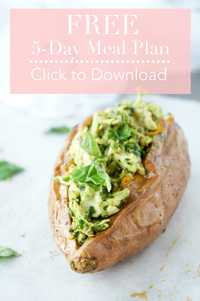 When ready to serve, remove from freezer and allow to thaw for 20-30 minutes (or you can consume from frozen). 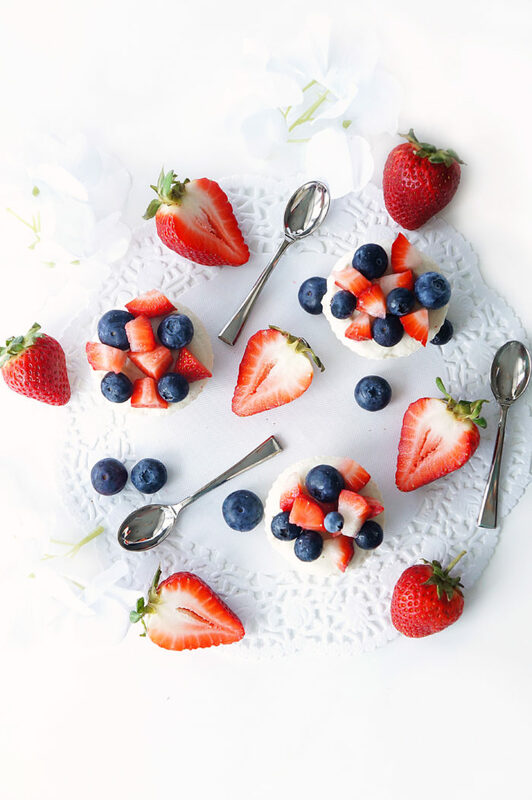 Top each cup with freshly chopped strawberries and blueberries and serve! These look SO YUMMY!! My intern right now can’t eat dairy or gluten and is always on the look out for new recipes. I’m definitely going to have to share this one with her! Thanks Tara! These cups would be PERFECT for your intern! Hope she loves them! They definitely are little beauties! I bet they taste incredible! I need to make these soon. Thanks so much Denise! I highly recommend you try them out — they’re really delicious! The perfect bite! What a great little dessert for any summer gathering. Thanks Ellen! Perfect for a crowd! Mmmm. 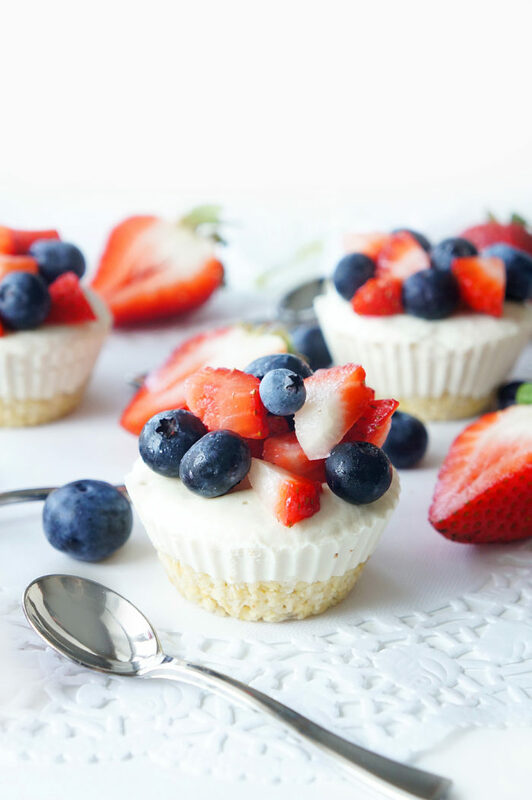 I love no-bake anything but I especially love your vegan cheesecake cups! They look like they have the perfect texture and look simply delicious! And I can’t believe it’s almost 4th of July either. Yikes! Thanks so much Elaine! They’re a really delicious and refreshing little treat! Unfortunately, I haven’t tried these with any other nuts, but if I do, I’ll post an update! If you happen to find a suitable alternative, please let me know!